Jayalaxmi's husband was a brick layer, but he died of a heart attack in 2004, leaving Jayalaxmi without financial support. She has one son, Suresh, but he is married and lives elsewhere with his wife and children and is unable to financially assist his mother. 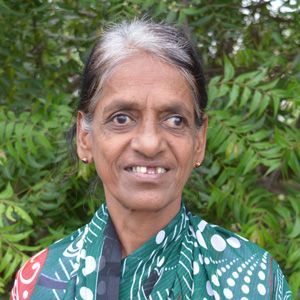 Your sponsorship will help ensure that Jayalaxmi's daily needs are met and give her hope.